As per quality production standards Black Tea, is produced where the raw leaves are intentionally oxidised more than 80%. The processing involves a very critical withering stage which consist of both physical and chemical mellowing which takes about 16 to 18 hours depending on the ambient humidity and temperature. This withering stage imparts a natural sweetness to the black teas and a very distinct flowery fresh aroma. Teaneer Black teas are whole leaf healthy teas produced out of the unopened apical bud and the first and second tender leaves, the critical withering and subsequent bruising stages are carefully monitored by our tea masters working these leaves. 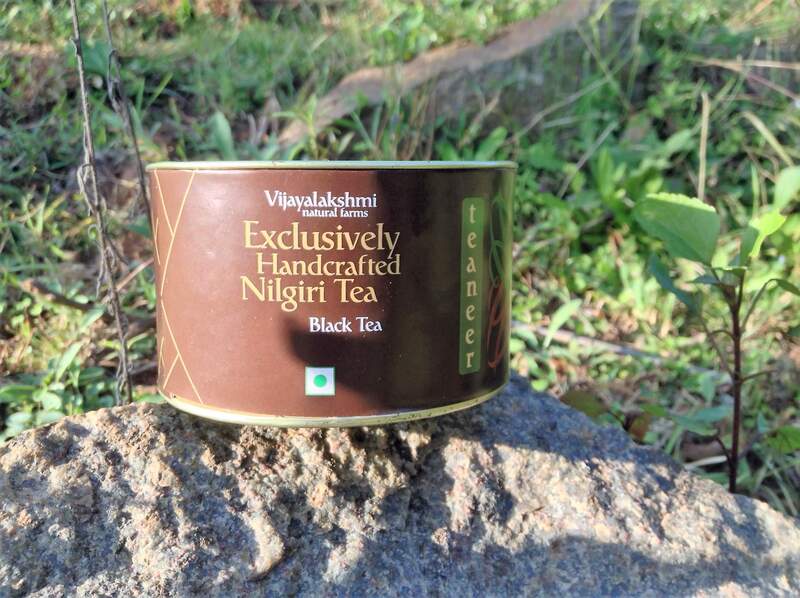 Each batch carries with it its own distinct characteristics of flowery notes in the orchard accentuated further due to the withering, the soil humus as well as the season specific taste and smell imparted by the salubrious Nilgiri weather. This is a high altitude garden situated about 6600 to 7200 feet. The withered and delicately bruised leaves are gradually dried by alternate rounds of ball rolling and subsequent wok firing with painstaking care taken not to break the leaves. The teas attain a wiry twist to it in the process and the final leaves are sundried and packed on the 3rd day of processing. - Catechins in the raw tea leaves are broken down to thea-rubigin and thea-bromine black, which categorised as dark tea has proven benefits for digestion. - After the first brew the teaneer leaves has just opened up and it can be brewed a couple more times with adding water with the same temperature as initially used in your first brew. - Though a lot of complex taste and flavor notes be observed according to the processing season, you can find a hint of Lemongrass, jasmine like sweetness aroma and a nutty caramelized like after taste which develops gradually and lingers in your throat for a long time. We recommend you to brew our teaneer minimum 3 times with the same leaves as lots of flavors open up in the second and third brew.